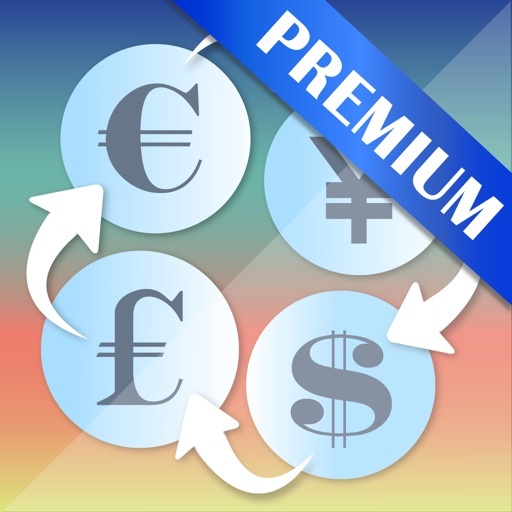 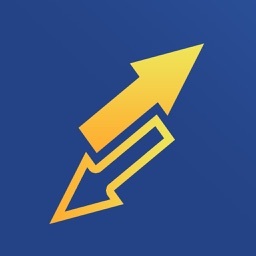 Free from Ads multiple-currency converter. 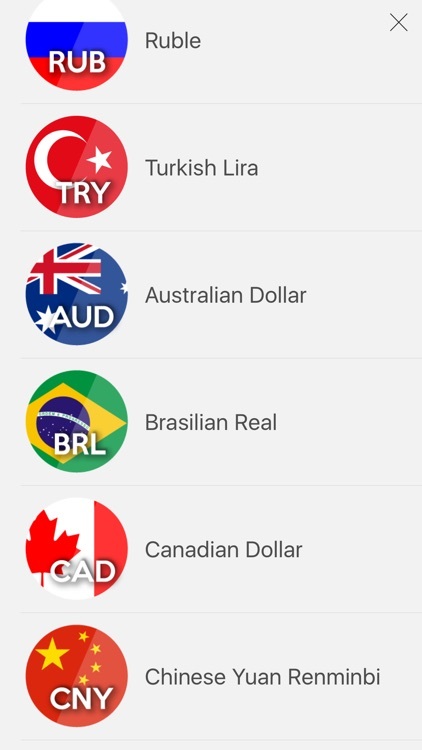 All the currencies you need! 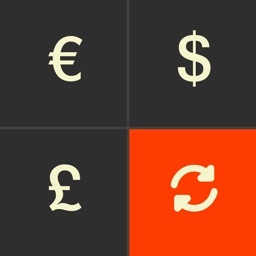 You can convert up to the 50 most important currencies from all around the world. 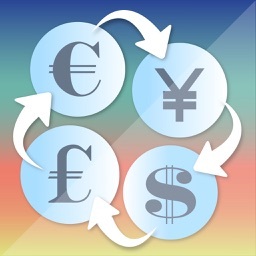 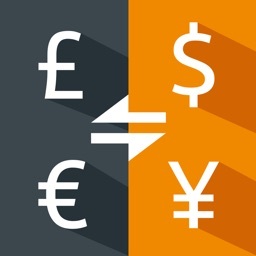 Currency exchange rates are daily updated from the European Central Bank (ECB) data. 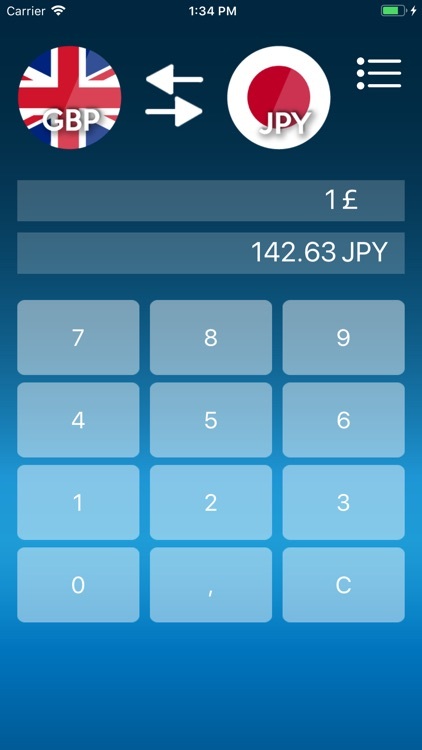 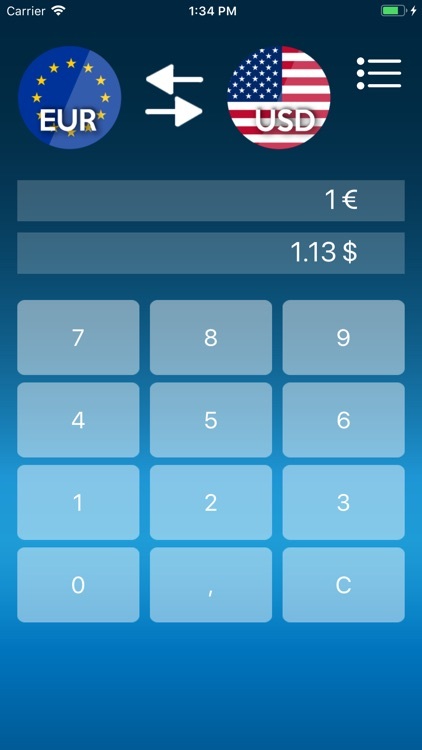 If you cannot get Internet connection, the currency converter can work offline anyway with the latest rate available. 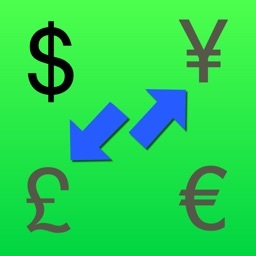 Dollar ,Yen , Euro , Yuan , Pound , Real , Peso , Dirham , Rupee , Dinar , Ruble , Won ,Bolivar, Riyad, Krone, etc. 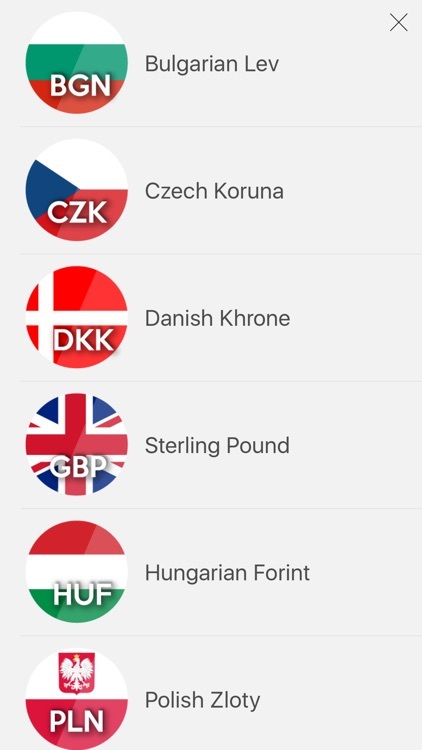 Currencies from: United States, European Union, New Zealand, Australia, Bulgaria, Czech Republic, Denmark, UK, Hungary, Lithuania, Poland, Romania, Sweden, Switzerland, Norway, Croatia, Russia, Turkey, Brazil, Canada, China , Hong Kong, Indonesia, Israel, India, south Korea, Mexico, Malaysia, Philippines, Singapore, Thailand, South Africa, Morocco, Colombia, Algeria, Chile, Bolivia, Egypt, Iceland, Pakistan, Paraguay, Tunisia, United Arab Emirates, Ukraine , Uruguay, Venezuela, Vietnam, Serbia, Argentina, Saudi Arabia, Kazakhstan, Germany, France, Italy, Spain, Holland, Belgium, Greece, Finland, Latvia.